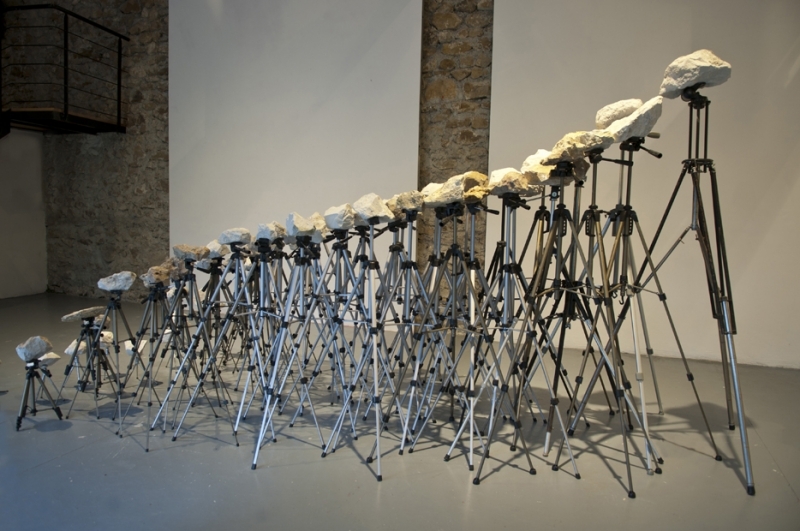 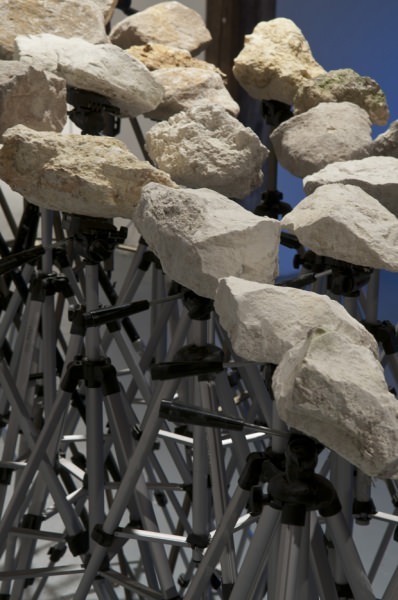 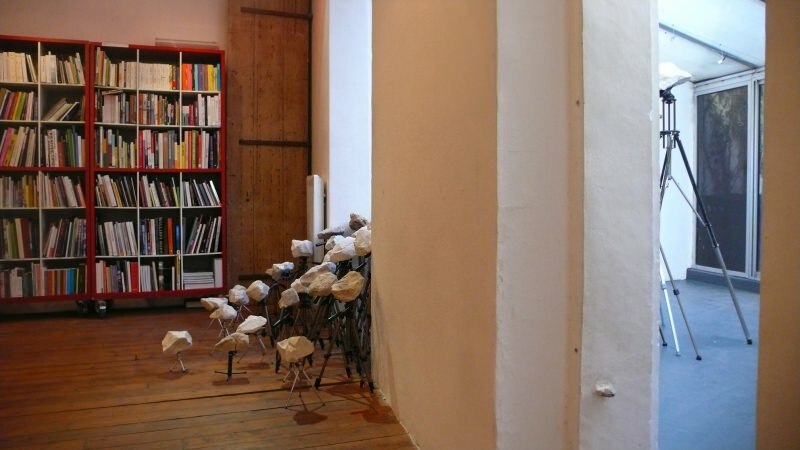 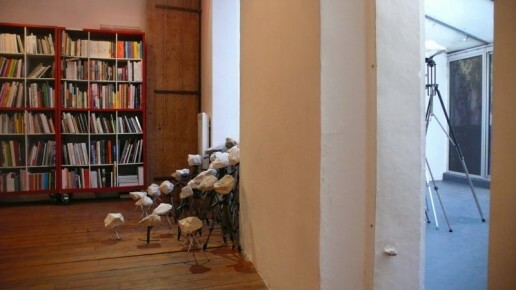 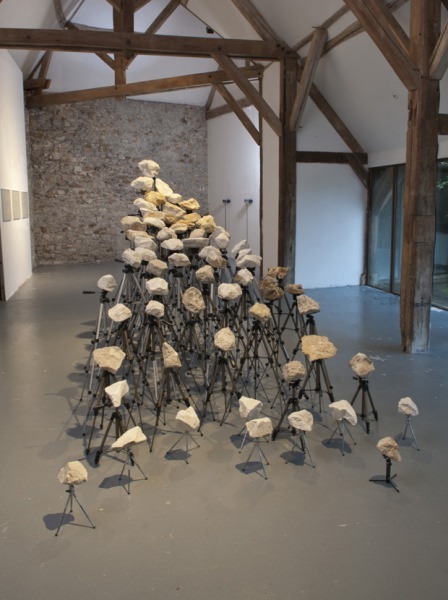 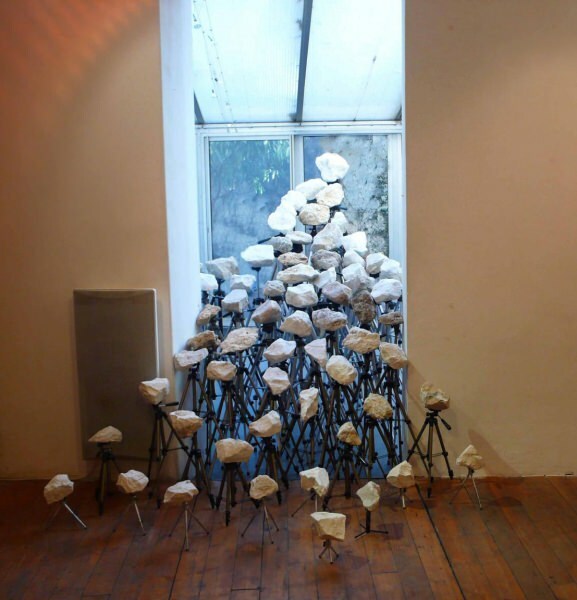 Landslide is an installation that consists of fragments of rock attached to the mounting plates of tripods. 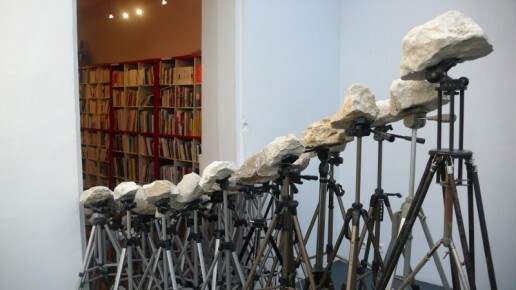 The tripods are adjusted, raised or lowered and entangled with each other – in order to accumulate the fragments and re-construct a static whole, replicating the appearance and dynamics of a landslide. 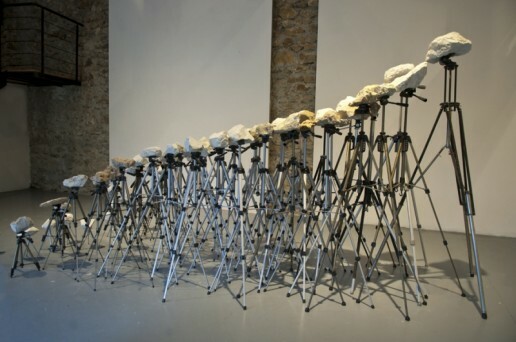 It provides a ‘freeze frame’ of this unpredictable phenomenon, ephemeral and often spectacular. 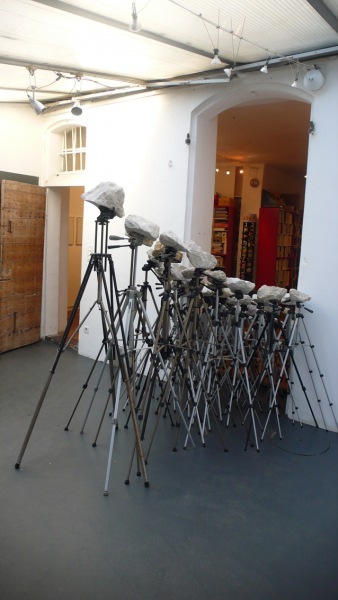 Usually, the tripod stabilizes the camera, making it possible for the image of the landscape to be frozen in time. 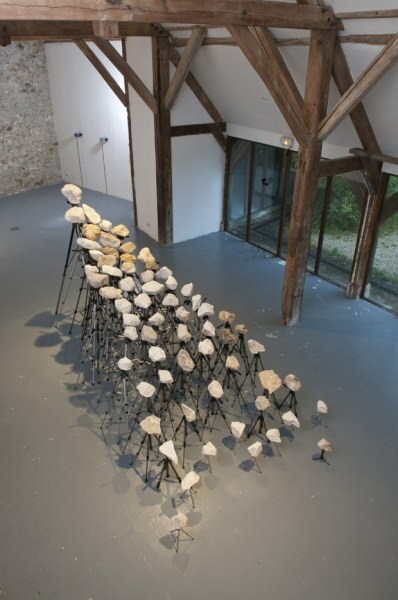 Here, it becomes a structural support that arrests the construction’s gravitational movement.